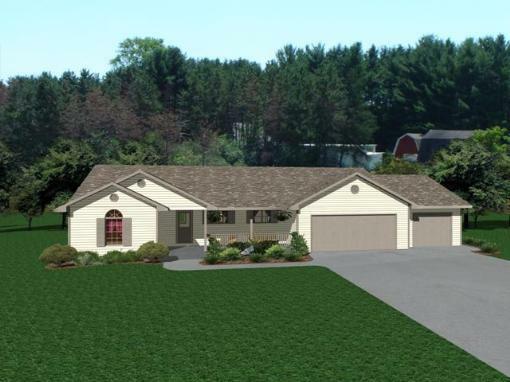 This lot is located in Crossing Meadows Subdivision - Viroqua's newest and most complete subdivision and comes with city sewer and water, electric, natural gas, cable and telephone. The streets are paved and the curbs and gutters are in place. 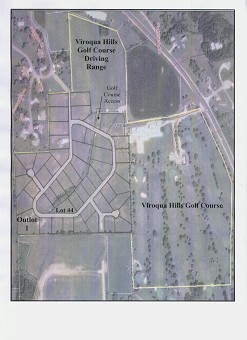 Lot 44 is .500 acres and is zoned for the building of a private home. 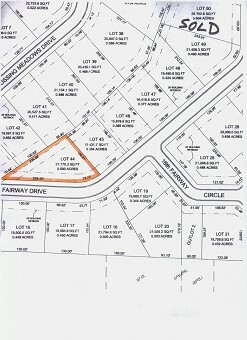 This lot is sloped and ideal for a home with a walkout basement. 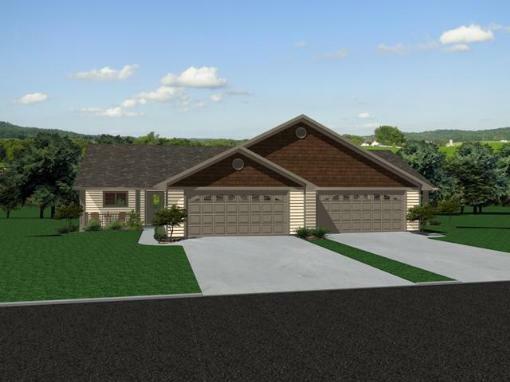 Crossing Meadows Subdivision is located right at the city limits giving a country experience with a close proximity to downtown Viroqua and its quality schools and healthcare systems, shopping, businesses, recreation and well known farmer's market. What makes Crossing Meadows even more spectacular is that it borders the Viroqua Hills Golf Course and has golf cart access for each property owner. Protective covenants are in place to protect your investment and ensure each home or townhouse is built to certain specifications. 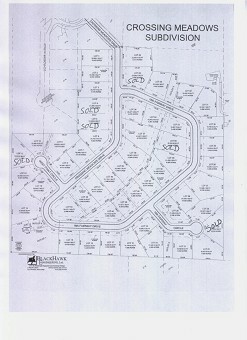 A new home can be built to your taste on these lots at a special package price. Surveyed Building Lot .500 Ac. Dan has always found landscapes and architecture inspiring. After graduating from the University of Wisconsin Eau Claire in the area of Organizational Communications and obtaining his Masters Degree, Dan’s purchased his first country property in northern Wisconsin and was bitten by the rural real estate bug. The driftless terrain and country landscapes of this unglaciated part of the United States with its trout streams, springs, farms, organic land and woods inspired him to take the leap from real estate as a hobby to real estate as a career. In 2006 he and his wife Rhonda purchased United Country-Oakwood Realty, LLC and in 2008 Dan obtained his broker’s license and became the broker. Of the many properties Dan has listed and sold since 2005, approximately 70% have been country properties. United Country is the only national franchise that specializes in rural America. He is proud of the unique way United Country offers national exposure and local expertise. Understanding there is more to real estate than marketing and selling beautiful properties, Dan has achieved the Graduate Real Estate Institute (GRI) designation in 2013, the Council of Residential Specialist (CRS) designation in 2014, the Real Estate Negotiations Expert (RENE) certification in 2016, and the Certified Residential Broker (CRB) designation in 2017. These designations have enhanced his skills in helping sellers list and price their properties and in assisting buyers in making a smooth transition to closing. Real estate is about relationships and Dan greatly enjoys getting to know his clients and customers and guiding them through the real estate process. He strives to be ethical and to place himself in the shoes of his buyers and sellers. He welcomes any opportunity to visit with anyone about real estate. Dan is also a FAA licensed remote commercial drone pilot and a licensed real estate broker in the state of Florida. If you are interested in buying or selling Lifestyle Properties in the southwest Wisconsin area, please give Dan a call on his cell # at (608)-606-5344 or at the office at (608)-637-8288. In my 60 plus years I've listed my share of properties and worked with a number of Realtors. Dan Kiedinger impressed me the most. He tells me when the property is going to be shown and always follows up. He keeps me informed. He is respectful, and always conducts himself as a Gentleman. I like that..Terry T.